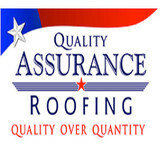 Quality Assurance Roofing, LLC has been in business since 2008. Our office in Brookshire, Texas helps homeowners with their roofing needs throughout the entire Houston area. We also have two locations in northwest Arkansas, in Berryville and Bentonville, to serve the roofing needs of central and northwest Arkansas as well as southern Missouri. Texas and Northwest Arkansas homeowners have experienced several storms over the past decade that caused serious damage to many roofs. Quality Assurance Roofing is here to help every step of the way. Although, insurance carriers may offer to take care of these repairs, the serious damages are often overlooked and completed by roofing companies with little-to-no certification. Not only are we certified by both CertainTeed and Owens Corning, we also hand-nail all of our roofs. You are getting the best work available with Quality Assurance Roofing; we hold fast to the common phrase, quality over quantity. Quality Assurance Roofing is proud to be a member of the Houston Hispanic Chamber of Commerce (HHCC) as well as a minority, women owned company. We also have extensive knowledge of the insurance claim process, with over 90% of our roofing jobs being insurance related. We are a company specializing in locating leaks with more than 19 years of experience in the field of roofing. For us, the needs of our customers come first. We provide commercial and residential service. We are committed to our customers to deliver an Honesty, high quality and best price in all our projects. Multiple times, when we service to some of our customers, they said that some other companies tell them that they needed to replace the entire roof when they only needed a few repairs. Don't let that happens to you! If you need an Honest and trustable roofing company...Call Us! RoofTec focuses on superior service for all of its clients. Your roof is important to us. Trusted by the Greater Houston Builders Association and have been the reliable roofing contractor in the Greater Houston Area for nearly 25 years. Established in 1994 by Rodger Brogdon, RoofTec is the most experienced residential roofing contractor in Texas with over 40,000 new roofs installed. Our size will allow us to get started on your home in a matter of days instead of weeks or months. We are accredited and have an A+ rating with the Better Business Bureau of Houston. We specialize in home improvement including roofing, siding, windows, doors and radiant barriers, as well as installation and repair of shingles, gutter, and exterior painting. We will contact you quickly, meet with you personally and discuss your needs to make the best decision for your project. Texan Roofing is a family owned roofing company in Katy, TX that services Houston and all surrounding areas. We help home and business owners with reroof and roof leak repairs. We are certified through the best commercial roofing and residential roofing manufacturers in the United States and can offer the best material and labor warranties available through the manufacturer. Most of our customers come from direct referrals from previous customers, insurance agencies, realtors, property management companies, and insurance adjusters. A roofing system is a vital aspect of any home. Being that it provides protection for your entire home and family, you want to make sure that it is as durable as they come. Houston Roofing & Construction utilizes the highest quality materials and latest roofing technology for every residential roofing project. With so many types of roofs on the market, it can be tough to determine which is the best fit for your home. The roofing contractors of Houston Roofing & Construction are here to help you make this decision. There are a number of things to consider when selecting a new residential roofing system. Of course, cost and durability head the list, but aesthetics and architectural style are important, too. The following roofing products are commonly used for steep-slope structures. When you’re ready to make the final choice, contact us and we’ll guide you through every step of the process! We are a local Houston Texas roofing company that prides itself on making roofing your home affordable by offering innovative payment and financing choices. We pride ourselves on offering the best in home improvement financing combined with cutting edge roofing products. SLM Residential Roofing Inc. is a small business, committed to quality work, fair pricing and punctuality. My name is Barrett Blow, I am the owner, field manager, & estimator. I started SLM Residential Roofing Corporation in October 2008. No smoke and mirrors. I'm very transparent with my clients and I will explain your scope of work in detail every step of the way! My roofing crew has over 70 years of combined experience; my painting crew has more than 20 years and my gutter guy over 30 years. We ask for no upfront money. We employ an attitude of gratitude. We will treat your home as if it were our own home. I will be the guy that shows up at your home. I personally will be involved from start to finish insuring that you are comfortable and completely satisfied with our performance and crews. I will explain from start to finish the progression of your project, and give you a line by line detailed estimate. Please call me at 832-296-5561 and let me prove it to you!! Additional email: barrett@slmresidential.com. We specialize in Metal Roofing in Houston and all the surrounding areas, We have been in the industry for over 20 years. Our goal is to give our customers a lifetime roof that provides beauty, durability and energy efficiency. We are a family owned and operated roofing company located in Sealy, Texas. We take pride in providing top quality materials, professional installation, and dependable warranties to both our residential and commercial customers. We value the trust our our customers and earn our good name by doing things right. For a COMPLIMENTARY inspection, call XTREME ROOFING at 979-877-9624. A qualified specialist will provide you with a certified inspection and an Xtreme Approved Estimate. Kingdom Roof and Fence is a local Houston contractor that specializes in roof and fence replacements. We offer the best insurance claim assistance for our roofing clients in addition to building the most beautiful custom fences in Texas. Our company was founded by a ministry that seeded Kingdom Businesses to advance God's Kingdom on this earth and our efforts is to do just that one roof and fence at a time. With our connections at the lumber mills and shingle suppliers, you can take advantage of free upgrades and rest assured that your home or business is getting only the best available products and materials in our marketplace. Call us today to get your free consultation or to receive more information about our company and your next project. May the Lord be glorified through this effort and through His divine alignments. Remedy Roofing was founded in Katy, Texas by Greg Arnim and Douglas Traylor. Since its founding in 2005, Remedy’s mission has been to consistently offer its customers the highest quality in craftsmanship, materials and customer service. Just over a decade later, Remedy Roofing has become the leader for residential and commercial roofing in Texas. Through building a reputation based on quality work, we are on the way to becoming the largest roofing company in the United States. 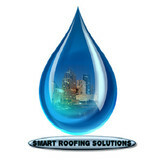 Inc 500 designated Remedy Roofing as the 2nd fastest growing construction company in the nation in 2009. Our commitment to quality, continuing education and a dedicated customer service team enable Remedy Roofing to consistently deliver the best roofing systems available. Our roofers are devoted and offer the best in metal, wood, clay, and slate roofing services across Texas and surrounding states. Remedy actively maintains industry related memberships and affiliations with the Better Business Bureau (A+ rating), Check-A-Pro, several chambers of commerce, Houston Apartment Association, Western States Roofing Association, Texas Roofing Association and the National Roofing Contractors Association (NRCA). We are proud to have attained master elite status with GAF, a qualification that only 2% of all roofing companies in the country qualify for. We have also gained commercial affiliations with Firestone Corporation and Carlisle Industries. As an appointed National Ambassador in the Weather-Ready Nation Initiative of the U.S. National Oceanic and Atmospheric Administration (NOAA), we feel committed to helping the nation be better prepared for, respond to, and recover from weather-related disasters. 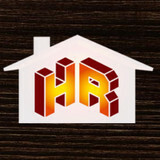 We are a family owned and operated Residential Roofing and Remodeling company serving the Greater Houston, Texas areas. We have been in business for about 14 years. We would love to work for you and your family! We love referrals and I thank you in advance for any work that you can send our way! To us, referrals are an indication of a successful business. What do roofing companies in Sugar Land, TX do? Your Sugar Land, TX roofing contractor can install a new roof or repair an old one, as well as repair and replace gutters. Good roofers in Sugar Land, TX should be able to promptly inspect roofs and gutters to assess damage after a natural disaster or other event, and give you an estimate for the necessary roof repair immediately. Some Sugar Land roofing companies specialize in specific types of roofs, such as tile or metal, so make sure the one you are interested in works with the materials you have or desire. Find a Sugar Land roofer on Houzz. 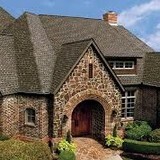 Narrow your search in the Professionals section of the website to roofing companies in Sugar Land, TX. If you’re planning a large-scale project, find other professionals on Houzz who can help get the job done. Here are some related professionals and vendors to complement the work of roofing & gutters: General Contractors, Specialty Contractors, Siding & Exteriors, Door Sales & Installation, Garage Door Sales & Installation.